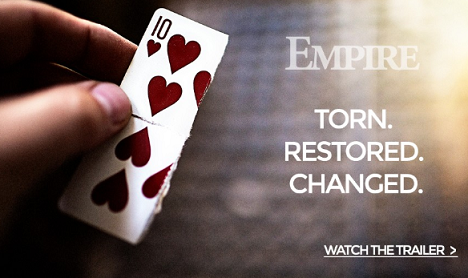 Empire ruptures the boundaries of the torn & restored card plot. The problem with most TnR's is the amount of 'cover' needed for your dirty work. We've all done that Bear-claw palm after the restoration. Thinking... "PLEASE DON'T CATCH ME"
Cody Nottingham to the rescue. Empire takes all the heat from your performance with a silky smooth restoration of an indifferent prediction. Followed by an immediate transposition that they'll NEVER see coming. - No hidden finger-palmed pieces. There's a million ways to show someone magic, but only one way to make them believe.